Perhaps you have already read the obituary for Nola the White Rhino (41) who recently died at the San Diego Zoo. She had arthritis and a painful bacterial infection, was a major park attraction and loved having her back scratched. Today only three white rhinos remain in the world. The climate change conference in Paris has opened and millions of people across the globe are marching for a cleaner environment and protection for the animals and plants that share our home with us. I don’t need to reiterate all the reasons why we need to quickly transform our energy consumption into lives that gently walk on this planet. Unless we change along with the climate, our world is headed to become a silent and empty place. Like all animals on this planet, Nola has something unique to teach us about being more fully human. Saint Francis preaching to the birds. Saint Francis of Assisi understood that by loving creatures, great and small, we learn more about God’s love for all of creation, including ourselves. The ascetic and mystic lived in the 13th century with a small group of like-minded followers, and together they were dedicated to helping lepers, the poor, and outcasts. 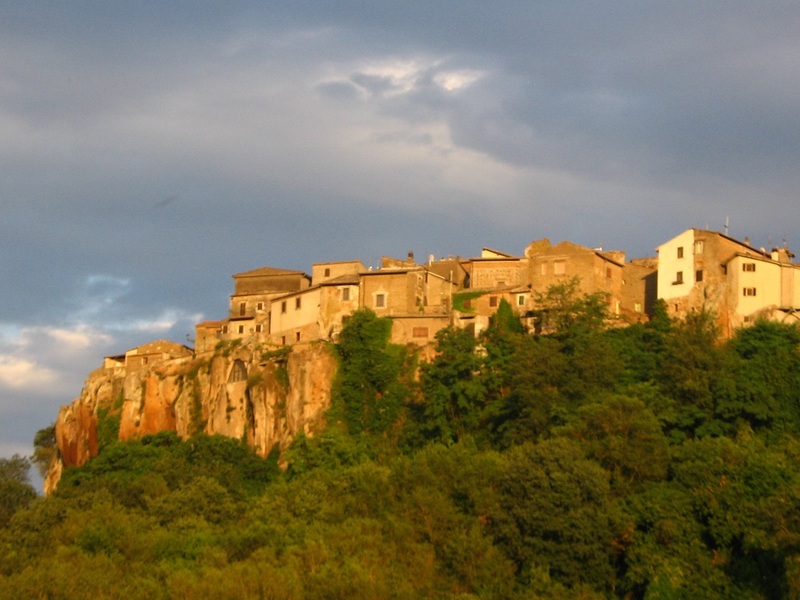 They built themselves huts of branches and twigs to sleep in, wandered in pairs over the Umbrian countryside, dressed in the ordinary cloths of the peasants, and worked in the fields to earn their daily bread. This entry was posted in Daily Meditations, Ecology, Relationship, Spirituality, The Higher Self and tagged ecology, meditation, psychology, psychosynthesis, relationship, Saint Francis, spirituality on December 1, 2015 by Catherine Ann Lombard. Signora Giuseppa in her garden north of Rome. It took me a long time and a good deal of sweat to understand it — just how much our Earth is a sanctuary for our souls. And this awareness evolved only thanks to Signora Giuseppa. Having worked the land for more than seventy years, Giuseppa quietly and wisely guided me towards this realization while we walked around her fields or campetto. Through her simple and daily vigil of being with, caring for, and depending upon the Earth, she initiated me into the profound experience of gardening and growing what one eats. For it is through this deeply experiential reality that we are best able to integrate the sacredness of the Earth with our own humanity. Signora Giuseppa is a round but sturdy widow whose hands are small, yet broad and strong. Whenever she stands before you, her feet are firmly planted and her eyes steady upon you. She is eighty-two years old and one of the few people I have ever met that is really present to all that is around her. Every afternoon you can find her tending her two-acre campetto in the Italian countryside north of Rome. Since she was five years old, she has lived all her life (literally) off the fruits of her labor. From olive oil to fava beans to wine grapes and, of course, tomatoes, her harvest is as varied as it is delicious. 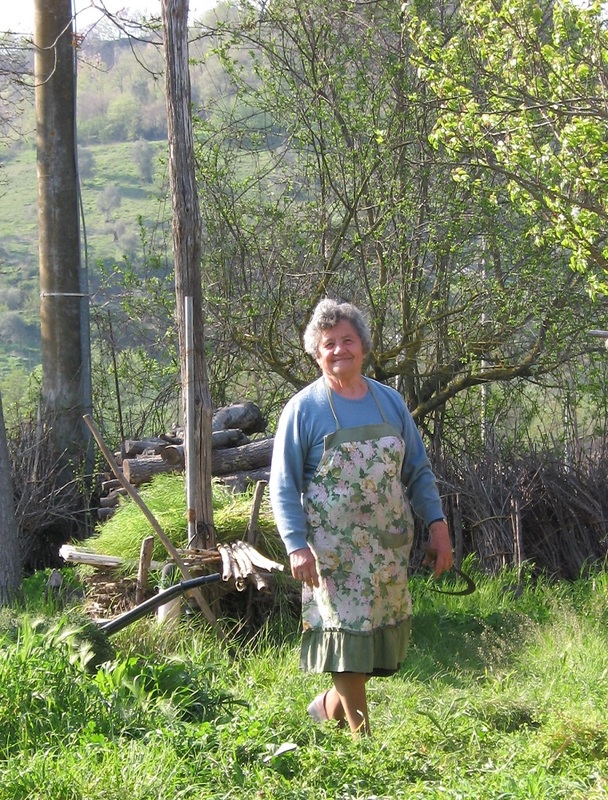 Whenever I visit, she chatters away in her Italian dialect as she heads out to feed her chickens with a bucket of soggy bread and milled corn in hand and an assortment of half-wild cats underfoot. She knows I don’t always understand, but what she seems to find more important is our time together. It is always a pleasure to visit her and see what she is sowing, planting, harvesting, gathering, drying, and feeding her chickens. It wasn’t until I too had this esperienza of hoeing, planting, composting, weeding, watering, and finally reaping the harvest of my own garden did I come to understand how holy the Earth really is. My education evolved mostly from my following Giuseppa around her campetto and simply watching. She used to tease me by telling everyone that I liked to come by and steal her secrets. Yet, while she showed me how far apart to plant tomatoes, when to harvest the garlic, and how to recognize a cauliflower that wouldn’t produce fruit, Giuseppa was also teaching me how to relate to the land, how to observe, care, tend, and support its needs, how to appreciate its bounty, receive its gifts, and surrender that which doesn’t survive. This entry was posted in Ecology, Moving Towards Joy, Relationship, Spirituality, The Higher Self and tagged ecology, joy, relationship, spiritual on September 28, 2014 by Catherine Ann Lombard. 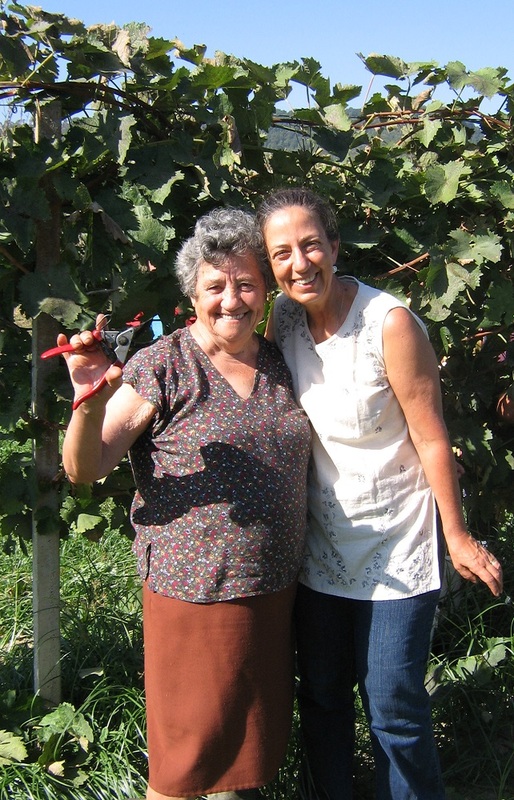 Signora Giuseppa and the author during the grape harvest in 2010. And as the gardener creates, so does the garden transform the inner life of its creator. The word ‘create’ actually derives from the Latin creare which means to produce, to make life. The garden’s cycle mirrors our own growth, complete with floods, heat, drought, infestation, dying, resurrecting, blossoming, blooming, maturing, rotting, bounty, beauty, and miracles. In our deeper psyche we tend to our life’s garden of sorrows and joys. We pull out, cut back, dig up, bury, sow, support, and nourish hoping one day to harvest our life’s experiences into wisdom. Without all this soul/gardening work, our spirits are swamped under the weeds, our creative gifts choked, our true selves unable to flourish. As we relate to the Earth with hoe, shovel and watering can, the Earth begins to teach us about ourselves. Working the Earth is like dreaming, it can act as a medium between self and soul. When we take time to garden, we are allowing our souls to speak to our conscious selves, to display outwardly where in the soul process we really are. And as we gain in awareness, we can equally influence the soul to move to its next necessary task by outwardly performing the chore in the garden. There were days when I found myself tearing at weeds, only moments later to feel the fierce roots of long-buried anger and resentment clinging to my heart. Other days I was filled with joy, longing to spill seeds upon every patch of bare Earth. By gardening we unearth a place where our inner and outer worlds can merge. And in this space, with time and nourishment, we encourage the self closer to universal truths. This entry was posted in Ecology, Spirituality, The Higher Self and tagged ecology, joy, psychology, psychosynthesis, spiritual on September 16, 2014 by Catherine Ann Lombard. This year’s harvest from the author’s garden in Germany. With gardening always comes the harvest — a communion with our Earth, the holy connection between us and the planet. What better way to participate in this than by eating a cherry tomato or snap pea that we have grown in relationship with the Earth? This replenishment of our bodies with what the Earth offers us through our own labor aided by nature’s gifts of sun and rain creates a circular relationship of spiritual unity. Perhaps this is the true meaning of Eucharist, which comes from the Greek for gratitude. 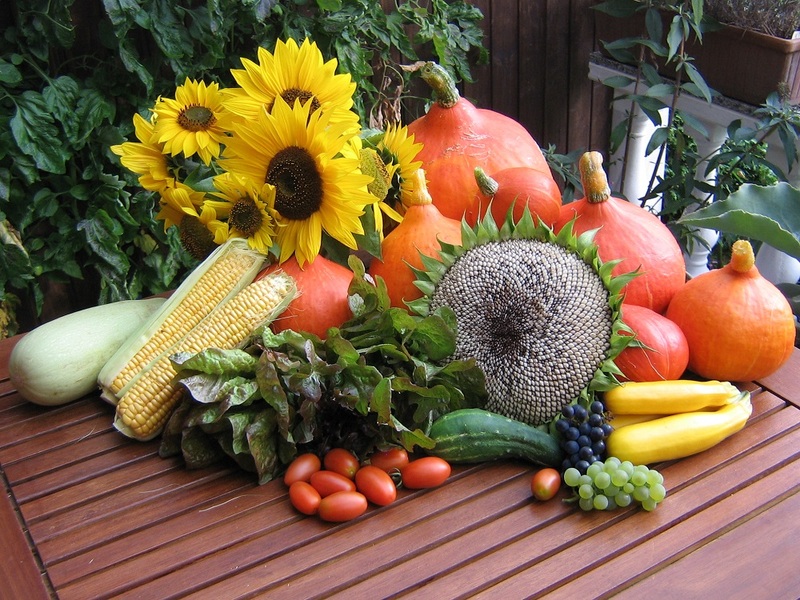 By receiving the garden’s bounty into our bodies, we gain the strength, energy, and respect to continue our lives in tandem with it. 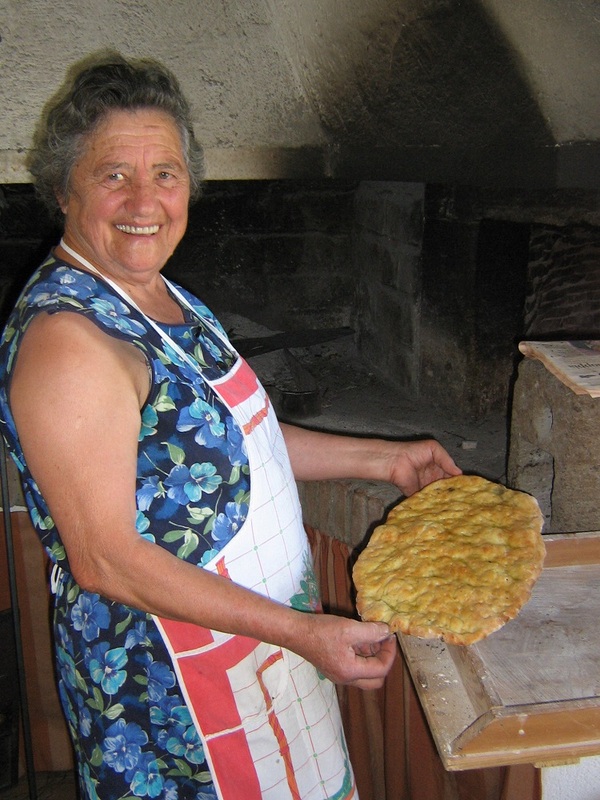 Signora Giuseppa enjoys the fruits of her labor – homemade foccacia baked in the wood-burning oven. One August, when most Italians flee their homes for holidays in the countryside or al mare, Giuseppa was faithfully tending her rows of tomato plants. I passed by one cloudy afternoon to find her worried over the possibility of rain. “If it rains, Caterì, it will ruin all the ripe tomatoes.” She and her extended family spend two days peeling and canning these tomatoes for the winter months. I offered to help her pick them without realizing what I was actually getting into. She accepted my offer, grabbed some crates, and bounded out into the field, calling for me to follow with the wheelbarrow. We spent nearly four hours picking tomatoes that afternoon with her chatting the entire time. “We used to work for a patrone,” she told me. “Half of what we harvested went to the landowner. One hot summer day, I carried a heavy basket of tomatoes the long road up to the landowner’s house. I used to carry everything on my head in those days, but the wet wash from the lavanderia was always the worst, especially in winter. We hauled the crates onto the wheelbarrow. “Wait, Caterì, let me help you. These crates are too heavy.” She worked like a twenty-year-old and didn’t seem to tire. Visibly rejoicing in the summer harvest, she became more animated and energized as the number of crates of tomatoes grew and grew. Meanwhile, my back was killing me even as I marveled over the variety and seemingly endless number of tomatoes that lay hidden inside the masses of vines. Note: This story was written while the author was still living in Italy in 2007. It is the last of a three part series. This entry was posted in Ecology, Moving Towards Joy, Relationship, Spirituality, The Higher Self and tagged ecology, joy, psychology, psychosynthesis, spiritual on September 9, 2014 by Catherine Ann Lombard.